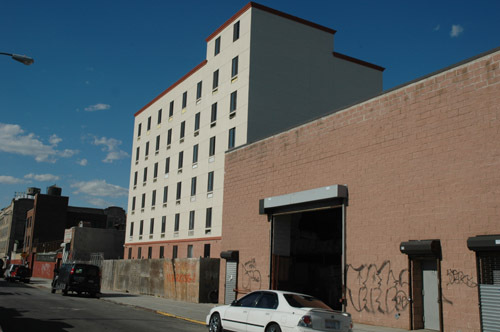 The new 106-room Comfort Inn, which is at 279 Butler Street, won't be for the faint-hearted tourist, as it's located on a pretty bleak (even to us) industrial block in Gowanus. Its closest neighbors in terms of residential real estate are the Gowanus Houses and Wyckoff Gardens. On the other hand, if you're looking for gritty Gowanus cool, the Comfort Inn is going to have your name written all over it. We're going to guess that rooms facing south should offer some nice Gowanus views, as the hotel is very close to the terminus of the canal and the pumping station that keeps "fresh" water flowing into it. No word on an opening date, but by the look of things, we're going to guess early 2007? The Brooklyn hotel boom marches on. Park Slope Car Theft Epidemic Slowing?